At Body Restored, we have a different approach of addressing one's over-all health and well being. Structural Energetic Therapy® (SET) has given us the proper avenue to efficiently and effectively treat acute and chronic pain conditions. Our main focus is to establish strength, balance and function to treat and prevent pain, dysfunction, and weaknesses throughout the body. The definition of pain can be completely different to each individual. Pain can be related to stress, tension, emotional trauma, anxiety, depression, headaches, migraines, injury, scoliosis, inflammation, post surgical scars, etc. You know the pain your body experiences the best. Our Structural Energetic Therapist is here to provide over-all support and proper skills to guide you through your healing journey. Each session consists of commitment to team work and communication between the theraist and client. This encourages transformational results! Body Restored is confident that Structural Energetic Therapy® is the ultimate rehabilitation a person can experience with limitless possibilities. SET does not MANAGE pain, but achieves MAXIMUM rehabilitation FROM pain! The Core Distortion is an anterior/posterior rotation of the iliums and tipped sacrum producing the lack of weight bearing support for the spine. The entire structure of the body is affected causing musculoskeletal dysfunction and pain. This core distortion is documented in 16 week old fetuses!! Everyone is born with this! In the Core Distortion 50% of your muscles are operating at approximately 50% strength and function – proven with functional and applied kinesiology. Cranial/Structural Core Distortion Releases of Structural Energetic Therapy® release the core distortion – the cause of 90% of imbalance, dysfunction, and pain. Once fully released usually in one treatment the core distortion will not return! The soft tissue restrictions holding the distortion can’t reform the same way again! The old soft tissue restrictions holding the distortion start unwinding and reforming new balanced supported holding patterns! Cedar Steam is an organic steam barrel for one person, made of red cedar wood that grows in high elevations of clean elogical mountains in British Columbia and Siberia. Our cedar barrel is innovative, unique, handmade, organic, made only from 100% Red Cedar - without the use of nails, screws, glue or other synthetic materials. A single use of Cedar Steam warms the body deeply, increases blood circulation, promotes cellular repair, and allows muscles to become relaxed. This effect also encourages the body to detox through a deep, thorough sweat. It is highly recommended and essential for structural balance that clients follow their rejuvenating steam with a Structural Energetic Therapy® session. 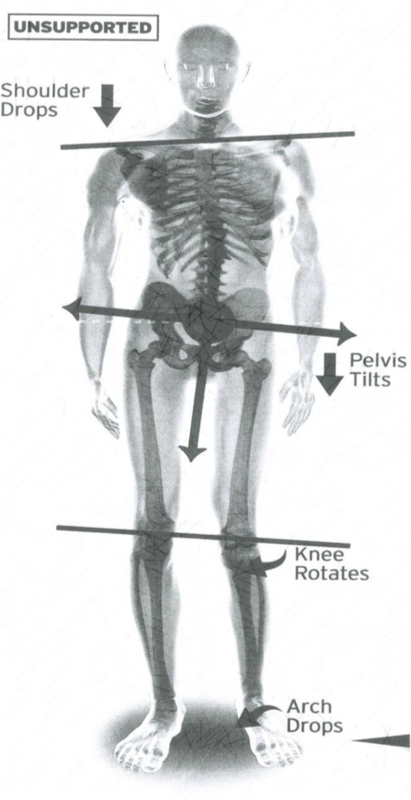 Structural imbalances are responsible for over 90% of our painful symptoms throughout the body, and can cause varying degrees of limitations and dysfunctions. Accidents, illness, stress, emotional challenges, injuries, and other life activities cause the body to collapse further into this distortion resulting in pain and dysfunction. The integration of Cranial/Structural techniques with effective deep tissue protocols applied in specific sequences is the most effective form of body restructuring and rehabilitation therapy that a massage therapist can use. This is the basis of Structural Energetic Therapy®, and, in the future, could very well be the basis of most body restructuring. It accelerates the process of balancing the body 10-fold, and resolves the weight bearing issues between the sacrum and the ilium leading to long-term pain relief and rehabilitation. Using kinesiology for testing, there is a definite increase in strength and function in the whole musculoskeletal system when it is in balance. The ultimate goal of Structural Energetic Therapy® is to restore balance, strength and function so that you can resume normal life activities pain-free! "Doing a breath session with Nissa was one of the most transformative and well facilitated I've ever had. From the very beginning, she made sure to not only communicate that she was going to be there during this process with 100% attention and experience, but that we were actively working together to ensure a fully engaged breakthrough. She is precise and extremely attuned to a person's individual process and provides enough space and guidance for them to do it on their own. Thank you Nissa for this opportunity to use breath as a transformative tool for my growth and insight!" More information on breath work coming soon! Structural Energetic Therapy® rehabilitates pain and dysfunction without surgery — long term! The transformation in just one session was phenomenal. I didn't realize how compressed my spine was from improper posture. I actually appear taller because of realignment, its almost surreal! Includes a full 30-minutes of Cedar Steam Therapy with complimentary water for hydration. Includes 30-minutes of Cedar Steam Therapy followed by 60-minutes of Cranial/Structural Release. Ten, 30-minute Cedar Steam Therapy treatments with complimentary water in each session included. Five, 180-minute Structural Energetic Therapy® sessions with 5 Cedar Steam treatments included. Ten, 180-minute Structural Energetic Therapy® sessions with 10 Cedar Steam treatments included. "Vinissa is amazing! She truly has the skill and knowledge and most importantly the perseverance in working with clients that are in chronic pain. She is not deterred by challenging pain conditions and will seek out additional expertise where needed. Her training in SET therapy positions her above and beyond any massage therapist that I have ever worked with. She is able to access and treat a wide range of Myofascial conditions with the accuracy and skill of a Physical Therapist, Muscular Skeleton Expert and Body Alignment Specialist all wrapped up in one person. Plus, she has a toolbox of additional healing modalities that enhance her practice. Vinissa’s passion and devotion to her work and to her clients is exceptional. She demonstrates wisdom, maturity and skill beyond her years. She truly has “Gift from God” hands!" "Vinissa is very informed and stays up to date with techniques. The transformation in just one session was phenomenal. I didn't realize how compressed my spine was from improper posture. I actually appear taller because of realignment, its almost surreal! The atmosphere is nice and tranquil and always sanitary. Vinissa gets an A+ in that department. Overall a wonderful experience!" "Vinissa is wonderful! She gives you her undivided attention, listens, and has a complete understanding of your concerns before she gets started with her process for healing. Some of what you'll experience are unconventional techniques but are guaranteed to make you feel rejuvenated and the desire to return for another session just as soon as possible!" "Vinissa is the best! She’s very knowledgeable and aware - excellent at meeting her clients’ needs. The steam is magical - I left my first steam feeling so relaxed and overall amazing. The session is very interesting and I left feeling good overall and definitely noticed a difference in my posture. Excited to see future results!" "Loved everything about my visit! Vinissa is very welcoming and knowledgeable about the services offered. I sat in the pod and she talked me through the process and made me feel very comfortable. I can't wait to come back!!!" "Vinissa is great. Very clean and professional atmosphere. I workout alot and she has helped me recover from old injuries. I highly recommend it and the steam pod is great!" "Had my first steam last week and loved it. Vinissa is very knowledgeable, thorough and it's obvious she loves what she does and is very passionate about her craft and her patients! Can't wait for my next visit!" "Vinissa is a miracle worker! She really knows her stuff! I walked away with my pain level several numbers down and in awe of what she does. I will be back again and again! Highly recommend her!" "I have chronic pain from car accidents, broken collar bone, neck fractures and herniated discs, plus scoliosis .... my body literally feels EXCITED when I'm getting into Cedar Steam!! Her therapy is so unique and long lasting! I can feel my body unwind and release. TRY IT FOR YOURSELF!!! Thanks Vinissa Gonzales!! Follow us for updates and promotions. Disclaimer: Please contact your medical provider if you have a serious medical condition or if you have ongoing health concerns. For health emergencies, call 911. I am not a physician, and I do not diagnose conditions nor do I prescribe medications. I reserve the right to end a session and refer you to your physician if I feel it is necessary for your health and well-being. I also reserve the right to ask for a doctor's referral before working with you. All paid services are non-refundable. All packages must be paid in full. We observe a 24 hour notice prior to cancelling or rescheduling appointments to avoid cancellation fees. © Copyright 2017 - Body Restored.